Camerata Nova, and the Manitoba choir community as a whole, are so lucky to have access to some of the best talent in the country. 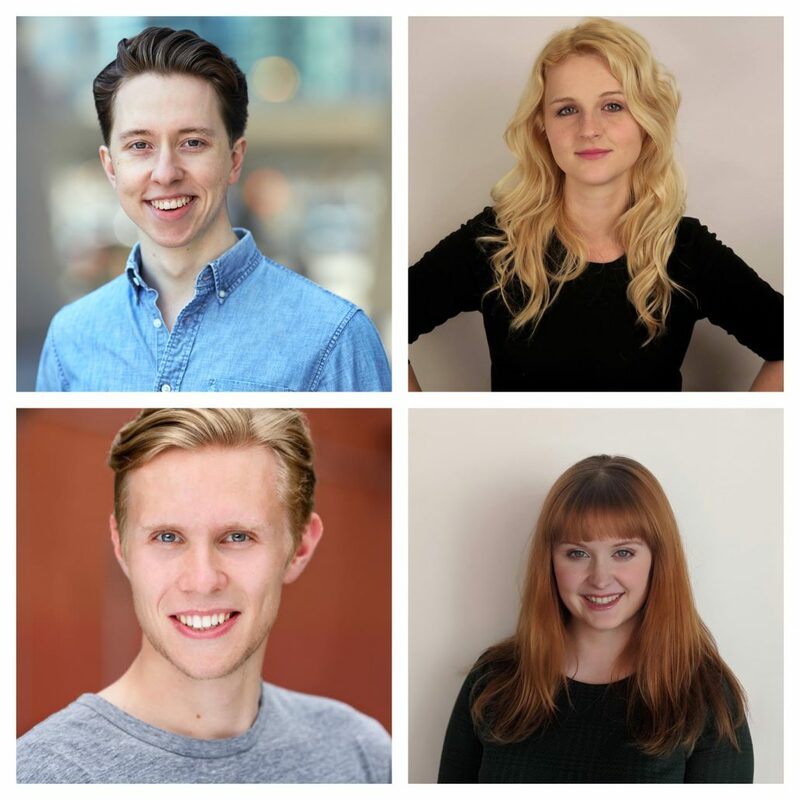 Ben Sellick, Jane Fingler, John Anderson, and Kathleen Murphy are just four of the 14 amazing singers who’ll be joining us this weekend (Nov 3-4) for our concert Fallen, taking place at the Crescent Fort Rouge United Church. Fallen performers include Artistic Director / Directeur artistique, Andrew Balfour; Sopranos: Jane Fingler, Sarah Sommer, Brittany Mielnichuk, Sydney Clarke; Altos: Donnalynn Grills, Angela Neufeld, Kathleen Murphy; Tenors: Scott Reimer, Andrew Thomson, Dave Sawatzky; Basses: Alan Schroeder, Ben Sellick, John Anderson, George Bajer-Koulack; Featured Artists: Cris Derkesen, Cory Campbell; as well as the Winnipeg Boys’ Choir. Ben Sellick grew up playing music, traveling, and watching movies. He went to the University of Manitoba, where he studied piano and film. 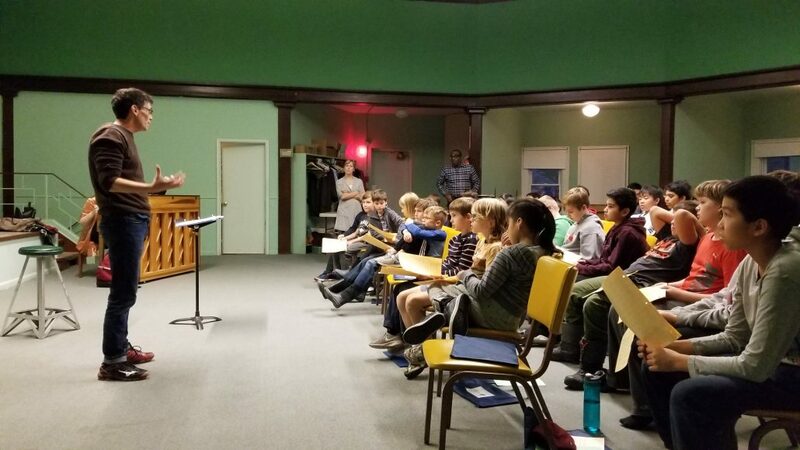 First with Elroy Friesen, and then under Michael Zaugg, Ben began singing and writing choral music, receiving his first major compositional premiere by Pro Coro Canada in their 2017-2018 season. Ben likes the colour orange, olive oil, wool socks, lakes, film music, El Greco, and podcasts. Born and raised in Winnipeg, John Anderson has been a lifelong lover of singing. With a passion for choir, theatre and composition, John has recently graduated from the University of Manitoba Desautels Faculty of Music and is excited to now begin making music and telling stories more widely in the Winnipeg community. Kathleen Murphy is a mezzo-soprano & pianist from Winnipeg, Manitoba. She is currently completing her degree in undergraduate piano at the University of Manitoba with David Moroz, and pursues vocal studies with Mel Braun. She has performed in concerts, masterclasses, & festivals as a vocalist, pianist, and choir member. Kathleen also has a passion for music theory & history, and is planning to pursue a post baccalaureate degree in vocal performance. *Tickets are available from our website, at McNally Robinson Booksellers, by phone (204-918-4947), or at the door. Two- or three-concert subscriptions ($35 to $125) for Camerata Nova’s 2018-2019 season are also available. See cameratanova.com for details. Camerata Nova is a registered not-for-profit charitable organization. Exploring, taking risks, and developing exciting new programming, takes time, energy, and money. Click here to find out more about donating. Camerata Nova’s landmark concert series highlighting truth and reconciliation with the Indigenous peoples of Canada is returning this November with Fallen, the second of three concerts designed by artistic director and composer Andrew Balfour. As with many trilogies, you don’t need to have seen the first to appreciate the second. Fallen will be presented on Nov. 3 and 4. The first of the series, Taken, premiered on March 4 and 5, 2017 in Winnipeg before moving out east to be performed in the National Arts Centre’s Canada 150 Festival in June. Taken – which featured Polaris Prize-winning artist Jeremy Dutcher, hip hop artist Eekwol from Muskoday First Nation in Saskatchewan, CBC reporter and throat singer Madeleine Allakariallak and cellist Leanne Zacharias with Camerata Nova’s chamber choir – received praise for being “innovative, inclusive and thoroughly engaging” (ARTSFILE). It dealt with the subject of Indigenous children being taken from their homes and the stripping of their culture by residential schools. Fallen continues the conversation of truth and reconciliation with the Indigenous peoples of Canada by exploring the contributions of Indigenous soldiers in the First World War, featuring a choral drama entitled Notinikew (He who takes part in war), written by Balfour. This time around, Camerata Nova will be joined by Indigenous cellist Cris Derksen, traditional drummer and singer Cory Campbell and the Winnipeg Boys’ Choir. The concert, conducted by Mel Braun, will also feature Requiem, a piece by English composer Herbert Howells on the death of his young son. Balfour’s inspiration for Notinikew was sparked by his love of history, particularly the European wars. “While Indigenous individuals of Canada have fought in every major conflict from the War of 1812 to Afghanistan, they were rewarded for their contributions to WWI by being denied benefits and forbidden to leave their reserves,” said Balfour. Balfour founded Camerata Nova in 1996 to explore early music – sparked by his love for Renaissance and medieval works – but it wasn’t until years later that he began composing his own music and exploring the power of Indigenous music. Balfour was a victim of the Sixties Scoop, taken from his Cree family at a young age and placed in the home of an Anglican priest. While he says his home was loving and supportive, it disconnected him from his people, his culture and his music. Through writing pieces for Camerata Nova and researching Indigenous cultures, Balfour rediscovered a part of his identity and learned to embrace his people’s music. For Sandi Mielitz, president of Camerata Nova’s board of directors, watching Balfour grow as an artist and embrace his identity has been a rewarding experience. “I’ve seen a guy with a huge amount of musical talent who then took it and learned how to not only evolve his music into something more and more sophisticated and abstract, but also evolve his whole identity,” said Mielitz. While the struggles and triumphs of the Indigenous peoples of Canada can be researched through spoken and written works, Balfour and Mielitz agree that music provides another layer of connection for audiences to understand their experiences. Camerata Nova’s rehearsals are well underway, and for Balfour, the journey from looking at notes on a computer screen to hearing them sung live by the full chamber choir is an exciting one. Fallen takes place at 7:30 pm on Nov. 3 and at 3 pm on Nov. 4 at Crescent Fort Rouge United Church (corner of Nassau and Wardlaw), with pre-concert talks 45 minutes before both shows*. The third and final concert of the series, Captive – a piece on Indigenous peoples’ incarceration – will be presented in 2020.